The Early Dismissal Slip #148 is a convenient 2-part individual slip which provides a useful duplicate copy. Available in a 150 set booklet. Also available is our single sheet yellow pad version. 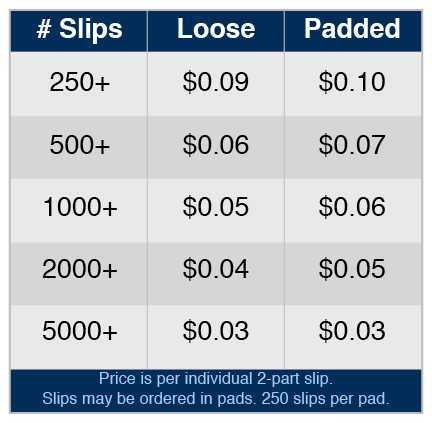 Padding is an additional $.01 per form and is FREE on quantities of 4000 or more! Form Size: 4.25" x 3.5"
Exactly what we needed. Simple with just the pertinent info we use for an early dismissal.